As they celebrate their 100th anniversary, enjoy the incredible sounds of the Cleveland Orchestra, conducted by Franz Welser-Most, as they perform Beethoven's 7th! 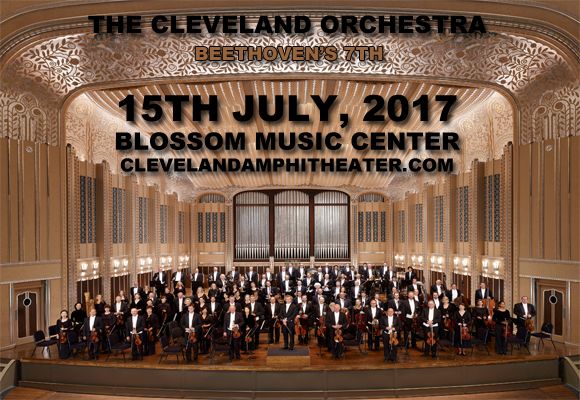 Coming to Blossom Music Center on Saturday 15th July 2017, this is an opportunity to hear what is widely regarded as one of Beethoven's best works lovingly performed by a local institution! "A world-class institution, The Cleveland Orchestra has long been a cornerstone in the city's rich history," said Beth Mooney, KeyBank Chairman and Chief Executive Officer.